Who does not like its thin layer of crispness to the crust and it’s very flavourful bite? We make the Italian pizza crust from a lean dough made of Italian flour which gives it a unique texture. Characteristic of the Italian pizza crust is its authentic stone-baked look. The unique combination of our recipe, laminating the dough, resting time and a stone-bake oven enables us to make customized Italian pizza crusts! 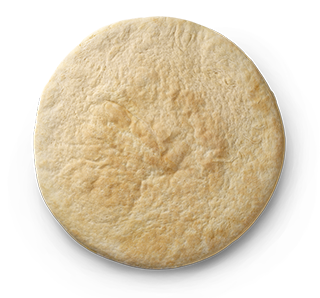 Monte Pizza Crust has years of experience in producing and delivering high quality pizza crusts and dough balls in every imaginable amount. To meet your wishes, we even go beyond the manufacturing process. Our motivated and experienced personnel can support you in developing concepts, products and ideas as well. We are your one-stop shopping solution for the best pre-baked pizza crusts and dough balls. With its light and crispy bite, the American style pizza crust is popular worldwide. The production process we use for making this high quality pizza crust is called ‘cold pressing’ and is authentic in the US. 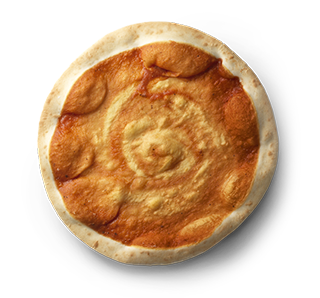 With cold pressing a dough ball can be transformed into a unique, pre-baked pizza crust with the typical characteristics of an American style pizza crust. We use the perfect combination of a classic recipe and a traditional preparation method to make pizza crusts and dough balls of the highest quality. We strongly believe in a sustainable production method and only use natural ingredients to make our broad selection of pizza crusts and dough balls. Since our start in 1996 we have been developing and baking high quality pizza crusts for a wide range of international markets. Traditionally used for pizzas and ideal for thin up to deep-pan, our dough balls can also be used to make garlic bread, tear ‘n’ share, calzones, mini dough balls, tray bakes, bread-sticks and focaccias. The base is the start of the consumer experience so it needs to be outstanding. 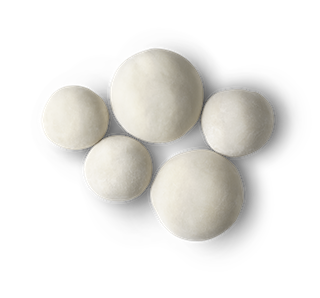 Based on an authentic recipe and made with our high quality ingredients, we can manufacture the perfect dough balls for multiple use. Are you in need of a custom made pizza crust or dough ball ? Everything can be adjusted according to your preferences and we are more than happy to support you with developing the best products and concepts. Because of our flexible production process and highly motivated personnel, we can create the perfect dough ball or pizza crust for you. With a production of 80 million pizza crusts and 40 million dough balls per year, we are able to fulfil almost every seemingly unusual request. A cruise ship leaving port the with 20.000 pizzas on board? A caterer who supplies a big event and needs frozen pizza crusts? You name the number and we deliver your dough balls or pre-baked pizza bases!